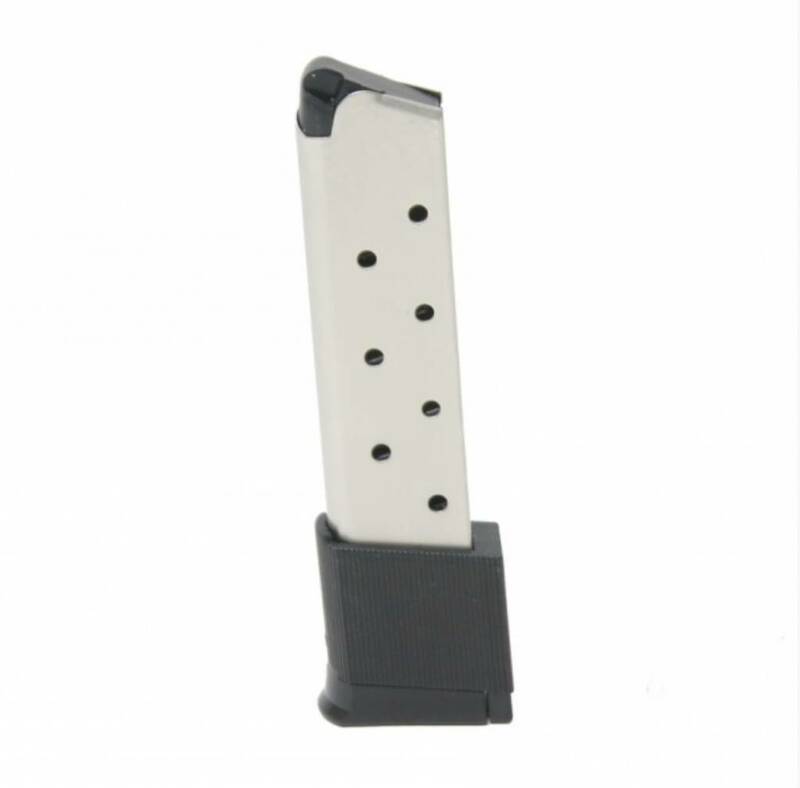 An extended 10-rd magazine for the 1911 Government Model pistol in .45acp. Constructed from heat-treated Nickel-plated steel, with a follower, lock-plate, and base-plate molded from a proprietary DuPont® Zytel™ based black polymer; and using a spring wound from Chrome-silicon wire and heat-treated for strength and reliability. 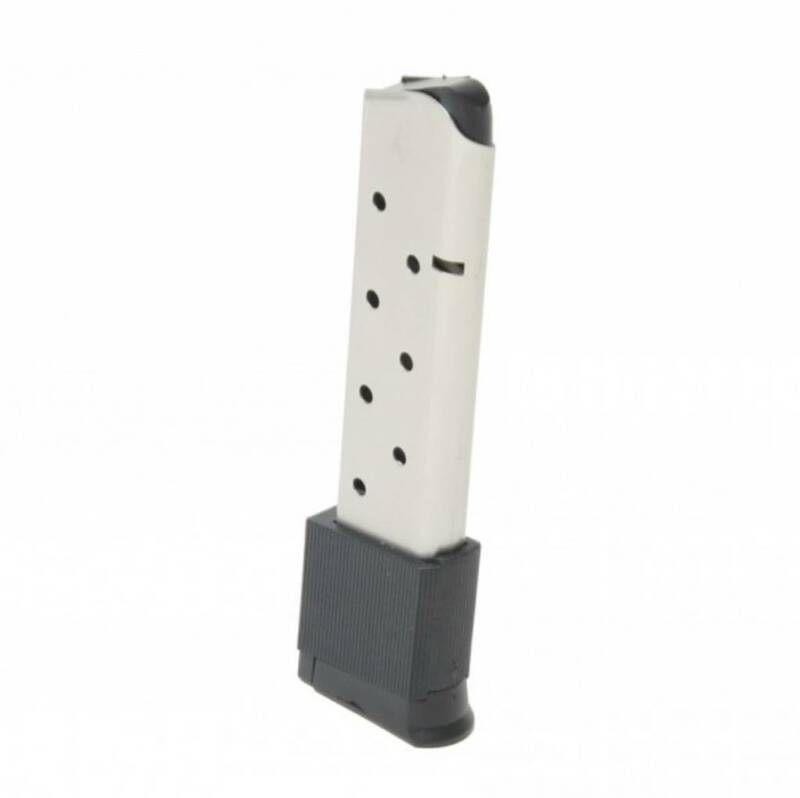 Includes a sleeve molded from polymer to fill the gap between the bottom of the grip, and the extended base-plate.